The manufacturing sector prizes speed for its ability to maximize production. However, when it comes to conveyors, faster doesn’t always mean better. This is especially true for food producers whose conveyor systems may be moving specialty foods like roasted nuts, breakfast cereal, malted barley or delicate cookies or crackers. 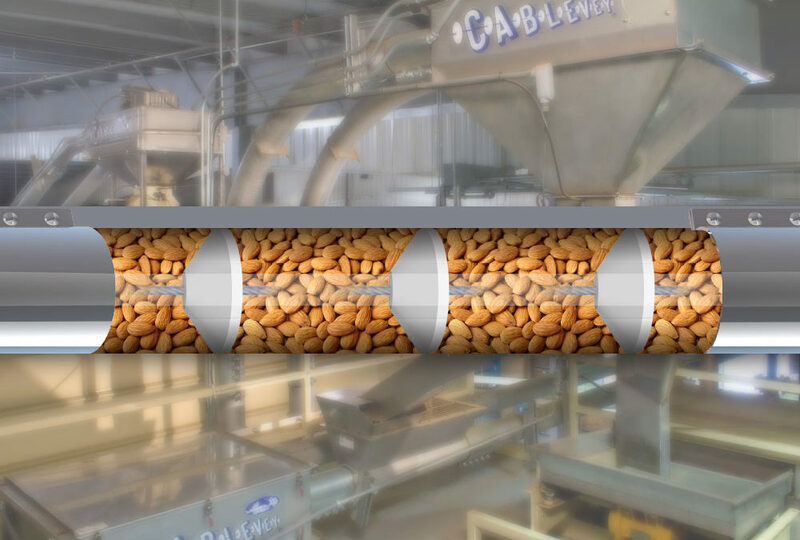 For food processing facilities and manufacturers seeking to reduce product loss due to degradation, a slow conveying tubular drag system can help achieve a more successful process. As material is moved through a conveyor, it faces multiple opportunities for degradation due to poor inlet design, product shearing, conveyor speed, temperature changes, friction-induced separation, and sweeps the material needs to pass through on the way to the next process. These threats can negatively impact the quality of the material and contribute to material loss through breakage and waste. 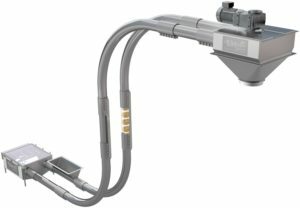 Tubular drag conveying systems feature stainless-steel tubes with nylon or UHMW discs attached to a stainless-steel cable, pulled by sprocket drives attached to drive units. Often the cable is coated with plastic for food-grade applications. The cable and disc assembly passes through the tubing, pulling materials from the infeed points to discharge ports. This slow-moving method of conveying, running approximately 100 feet per minute, typically operates on a single electric motor operating at less than 5HP, making it extremely energy efficient, and gentle enough to support a multitude of different products. This gentle conveying aspect prevents breakage of delicate and/or specialty materials that are worth more when they are whole and unbroken. A smooth, slow-moving conveying system carefully handles materials to minimize degradation and reduce waste, while offering extensive equipment life. With their many advantages over traditional conveying methods, like augers, and bucket elevators, tubular drag conveying systems are quickly becoming popular among food manufacturers and within other industries where the integrity of the material is more critical than speedy output.